Today another episode of The Star Wars Show dropped after a week on hiatus. Hosts Andi Gutierrez and Anthony Carboni are back with a bang(and beards) with a very special episode. First off, this episode features an exclusive behind the scenes look at Solo: A Star Wars Story. 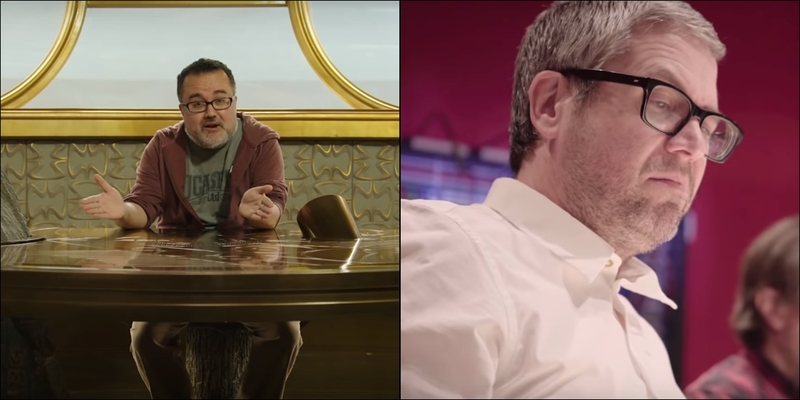 The Lucasfilm Story Group's Pablo Hidalgo takes us on a tour of the set of Dryden Vos' quarters on board his yacht, First Light. Hidalgo shows off just a few of the countless Easter Eggs hidden among Dryden's collection and its quite fascinating. Secondly, Carboni sits down with Solo composer John Powell discuss the music of the film. Powell touches on his approach to Solo's unique score, as well as having the opportunity to work with legendary maestro John Williams. Solo: A Star Wars Story is in theaters now. If you haven't yet seen it, do yourself a favor and head out to your local theater now!